Exclusive Full means there will be no other licensed users of the image during the specified period. Exclusive Forward means there will be no further licensed users in the specified period after this licence is issued, but the existing licences shown will still apply during this period. For more detail, including prohibited uses, see full Standard Licence, Enhanced Licence, Exclusive Licence, or for a rapid response email your query to fast@mychillybin.co.nz. This mychillybin Standard Licence is for image use in editorial, and free to the end user promotional materials e.g. advertisements, brochures, flyers, marketing materials, posters, reports, books, websites, social media posts, digital apps, etc. Use this licence for either screen viewed materials, or for printed materials with up to 100,000 copies. The Enhanced Licence is needed for print runs of over 100,000 copies, and is also needed for image use on products being sold in shops, markets or online etc. For example apps, placemats, books, reports, greeting cards, etc. (i) use on products being sold. e.g. paid apps, sold place mats, sold books, sold reports, sold greeting cards, etc. Join here instant & free. (privacy) Forgot Your Password? 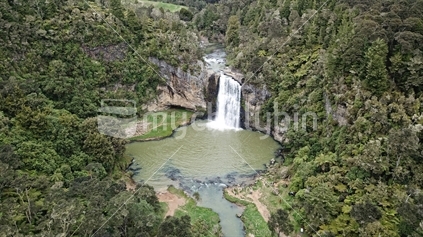 Hunua Falls - mychillybin genuine NZ photo image. This image has no current licensed users. Stock photos and image library. Independently owned & operated in New Zealand. © 2007, 2010, 2011, 2012, 2013, 2014 mychillybin limited. All rights reserved. Select General image use for all applications that are not purely editorial in nature. Email any query to fast@mychillybin.co.nz for a rapid response. Editorial use, in short, means material of genuine public interest and containing no commercial message, advertorial content, or similar. Note that whilst these images will be suitable for Editorial Use, some of these images are not able to be used for General purposes as they contain brands, people, etc without needed legal releases. This image is available only for editorial use. These Editorial Use Only images are not available for General purposes as they may contain identifiable people, intellectual property, etc, without needed legal releases. Select the Exclusive Use Licence Full or Forward for exclusive image use, for a specified period of time. Exclusive Use Full - means the image will be fully exclusive for the specified period. Exclusive Use Forward - means no further (after this one) licences will be issued going forward for the specified period. A list of existing licences (shown) may result in some use of the image during the exclusivity forward period. In addition, photographers remain able to sell fine art prints (not files), of these images. (i) Editorial content - material that is of genuine public interest and free of advertising and advertorial content. Specified Period - images may not be used beyond the specified period, without a further licence of some type being obtained. For more including prohibited uses, see full Standard Licence, Enhanced Licence, Exclusive Licence, or email your query to fast@mychillybin.co.nz for rapid response. The Enhanced licence is not needed for Editorial Applications. For more, including prohibited uses, see full Standard Licence, Enhanced Licence, Exclusive Licence, or email your query to fast@mychillybin.co.nz for rapid response. (iii) Items for resale - not coveredThe Enhanced Licence or the Exclusive Licence are needed for items for resale. Items such as paid apps, coasters, place mats, sold books, greeting cards, etc. For more, including prohibited uses, see full Standard Licence, Enhanced Licence, Exclusive Licence, or email your query to fast@mychillybin.co.nz for a rapid response.